Stempeutics Research, a late stage biotechnology company, has developed Cutisera, an anti-ageing skin care product, launched by Cipla. India’s organic skin care market is poised to grow at a CAGR of nearly 20 per cent between 2016 and 2020. According to Euromonitor, the sales of skin care products in India are set to reach INR 156 billion by 2020. While FMCGs are eyeing this sector with innovative and natural products in the segment, international firms as well as Indian pharma companies are also not far behind. Stempeutics Research, a late stage biotechnology company, has developed Cutisera, an anti-ageing skin care product, launched by Cipla. Cutisera™ is an intensive firming skin care cosmetic product. Wellnessindia spoke to BN Manohar, MD, Stempeutics Research, to know more about the product and also more such products in the pipeline. 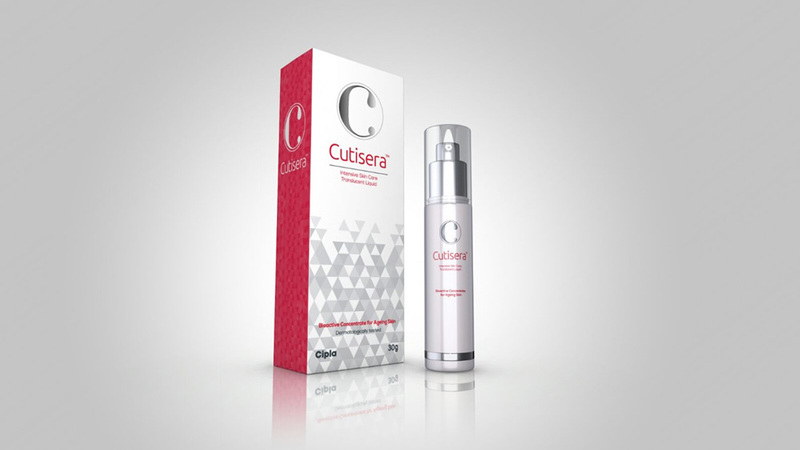 Cutisera is a‘5 in 1’ anti-ageing intensive firming skin care cosmetic product. Priced at Rs. 2995 in the Indian market, it contains human bioactive growth factors and cytokines, which nourish and regenerate the aged skin cells and provide anti-ageing benefits. It also contains moisturisers and skin conditioners to provide smooth and younger looking skin. What sets it apart from other skincare products? “Cutisera is the only human growth factor containing skin care product available in the Indian market. Also, the effectiveness of the product has been tested and proved during the trials on Indian volunteers making it an apt product for Indian consumers,” says BN Manohar. Manohar also adds that it is the efficacy that will eventually work in favour of Cutisera, once people start using it. “The main driver is the efficacy that will be delivered by the product. When the science behind the product is understood by the deserving consumers it gives us the competitive edge against similar products,” he says. As for the benefits, Stempeutics lists five of them: reduction of lines and wrinkles, reduction/lightning of dark spots, evenness of skin tone, improvement in skin firmness and improvement in skin hydration. While Cutisera is a product for all above 18 years of age, it is currently available through select dermatologists in major cities and is being expanded to other cities. “We are planning to introduce it at skin clinics and e-commerce platforms like Flipkart, Amazon, Snapdeal etc. and also through OTC route,” says Manohar. What makes Stempeutics venture into skin care? “Stempeutics is a stem cell research company that mainly develops Mesenchymal stem cells for unmet medical needs. When culturing stem cells, they secrete various growth factors and cytokines in the growth media. These growth factors and cytokines have the ability to heal the wounds, provide nourishment, brighten and regenerate the ageing skin. As the secreted growth factors have a lot of potential as cosmetics ingredients, we thought of venturing into skin care product development,” says Manohar. While Cutisera is the first skin care product developed by Stempeutics, there are more in the kitty. “Under eye dark circle removal product is another area where no efficacious products are available currently and we have recently started the development. We are also developing a complete solution with the combo pack containing bioactive facial foam, stem cell lysate supernatant facial scrub, day and night skin brightening formula,” says Manohar. Not just that, Stempeutics is also in the process of developing a hair care product. “Trichosera is an anti-hair fall and hair regrowth product which is in the final stage of volunteer study,” he adds. Plan 2,000 salons by 2020: Glam Studios CEO..